Put a Twist on Easter Dinner! Combine two classic Easter desserts in one; swirl carrot cake batter into a smooth and creamy cheesecake base with a hint of lemon with the following recipe, offered by McCormick. Bake and cut into bars. 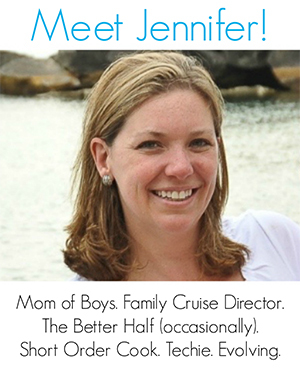 Find more inspiring recipes on Mommy Evolution! Elevate your holiday meal with these creative updates to Easter classics. For more recipes and tips, check out McCormick.com. Mix 1 cup each of flour and sugar, cinnamon, baking soda, nutmeg and salt in large bowl. Add oil, 2 eggs, vanilla extract and carrots; mix well. Spread ½ of the batter into greased and floured 13x9-inch baking pan. Reserve remaining batter. Set aside. Beat cream cheese and remaining 1 cup sugar in another large bowl with electric mixer on medium speed until well blended. Add milk, remaining 2 tablespoons flour and lemon extract; beat until well blended. Add remaining 2 eggs, 1 at a time, beating on low speed after each addition just until blended. Drop spoonfuls of cream cheese mixture and reserved carrot cake batter, alternately, over carrot cake batter in pan. Cut through several times with knife for marble effect. These look amazing! Pinned and sharing! These look delicious! Definitely an instapin! Jenny these bars sound wonderful. Thanks for sharing with us at Throwback Thursday. Can’t wait to see what you bring to the party this week. Pinned! These look amazing! Thanks for linking up to Link Party Palooza! I pinned this one–looks sooo lish! Thanks, and hope your Easter was a lovely day! 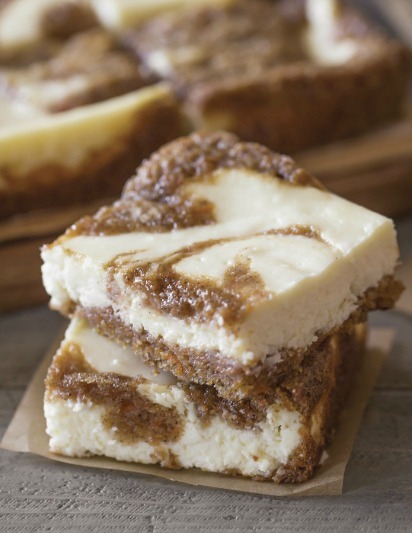 This carrot cake swirled cream cheese bar recipe jumped out and grabbed me. I love carrot cake, and cream cheese anything is delicious. Thank you for sharing at Happiness is Homemade link party. I Shared and Pinned this recipe. Oh these look yummy and easy to make! I am going to make these for a graduation party I am hosting next month. Thank you for sharing! 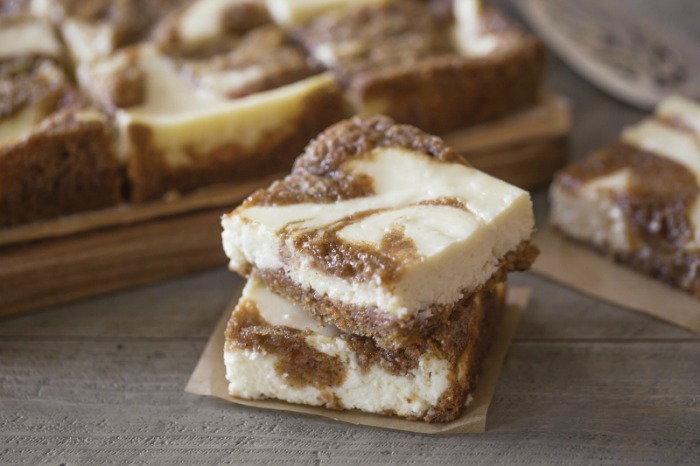 Your Carrot Cake Cream Cheese Bars are fantastic! Hope you are having a great day and thanks so much for sharing with us at Full Plate Thursday!